How to Enjoy Our Chicken Teriyaki? 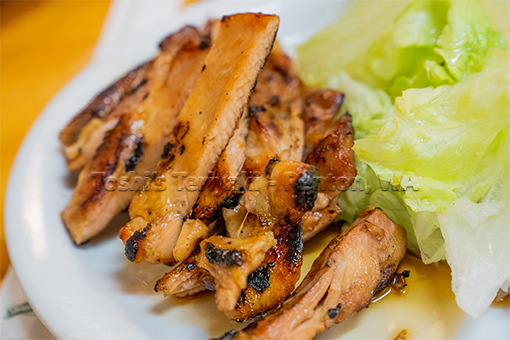 Eat your Chicken Teriyaki with our Toshi Sauce for tasteful grill meat. Recommended for grill taste meat lovers. You won’t go back to traditional sauce. Just try once. *Note: ask us for no teriyaki sauce and use teriyaki sauce (Toshi Sauce) on tables. Original Sauce is traditional teriyaki sauce for those who love sweat taste.